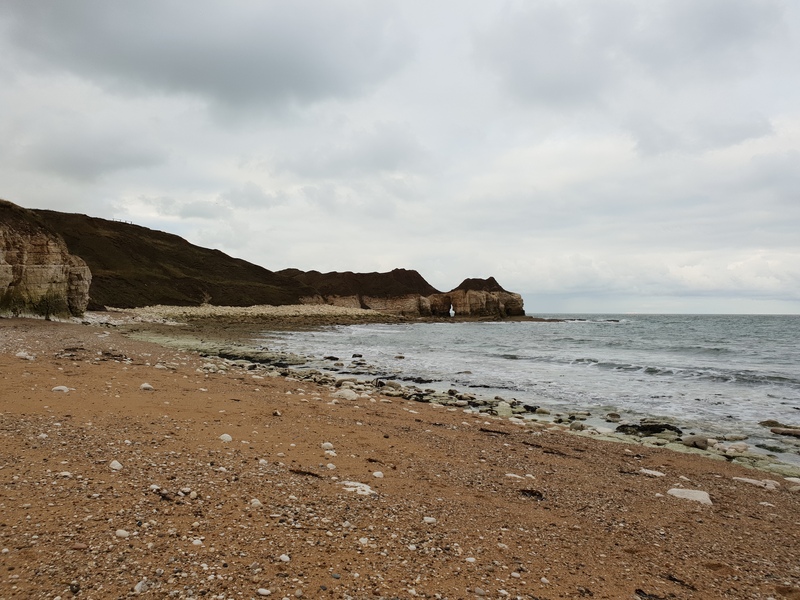 Thornwick Bay Oystercatchers | Why watch wildlife? The truth is, not that much at first glance. 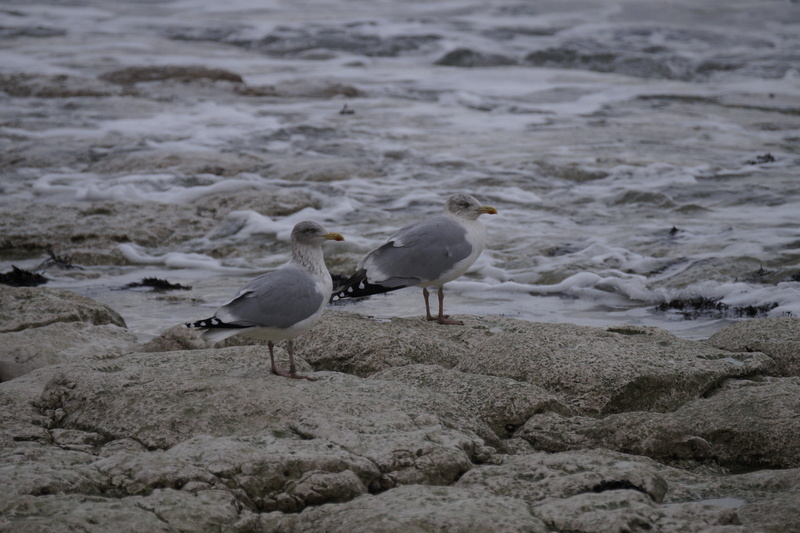 Few small birds flitting about, just a couple of lazing gulls. 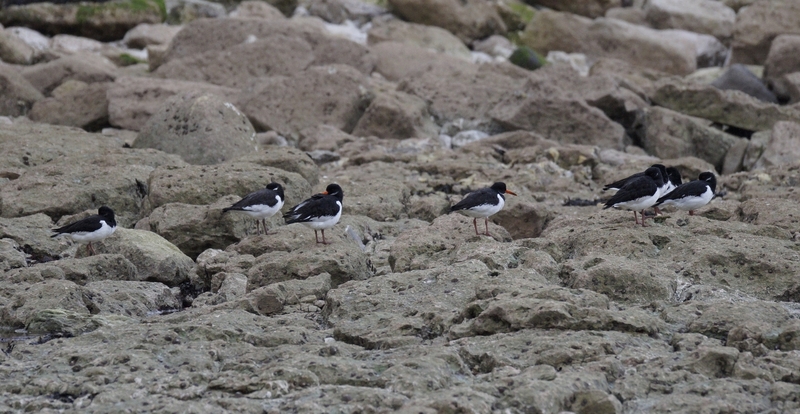 But a little further North around the bay there were a couple of Oystercatchers, mainly dozing on the rocks. It turned out there was actually a small flock of 15-20 birds, and I managed to grab a couple of pics through the drizzle and gloom. 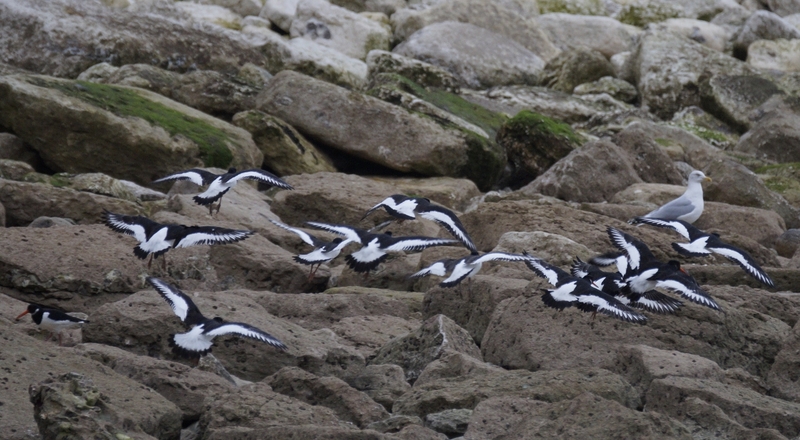 I kept edging closer, but eventually they took off, flying about 50 metres further round the rocky bay. 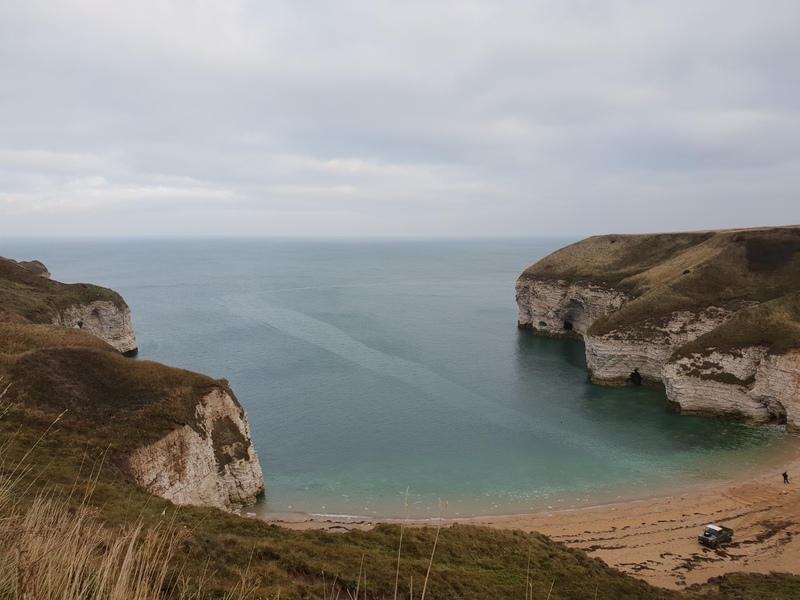 The whole headland is worth a visit at any time, be it in Spring for the seabirds, autumn for migrants, or winter for the residents holding out in bleaker times. 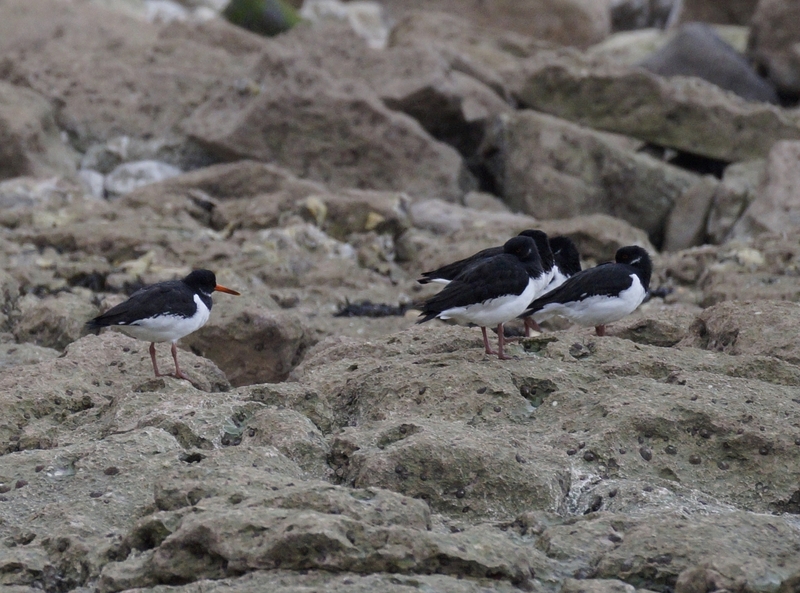 This entry was posted in Birds and tagged flamborough, nature triangle, oystercatcher, wildlife, yorkshire. Bookmark the permalink. It’s a lovely spot. 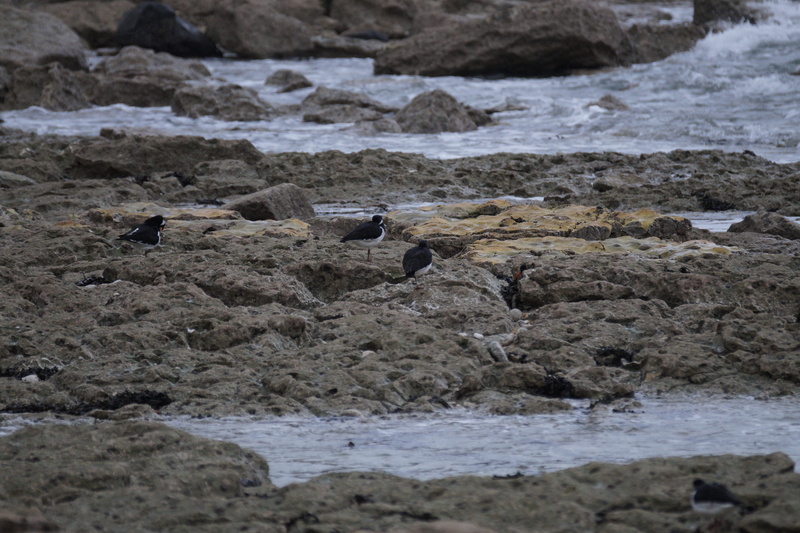 Haven’t been for a few years, but as the inlaws live at Robin Hoods Bay I get to see the oystercatchers regularly. Super birds, though never that keen on me getting too close for photos. No, they are quite skittish. The closest I’ve ever got is in breeding season when accidentally getting too close to nests! Then they attack.